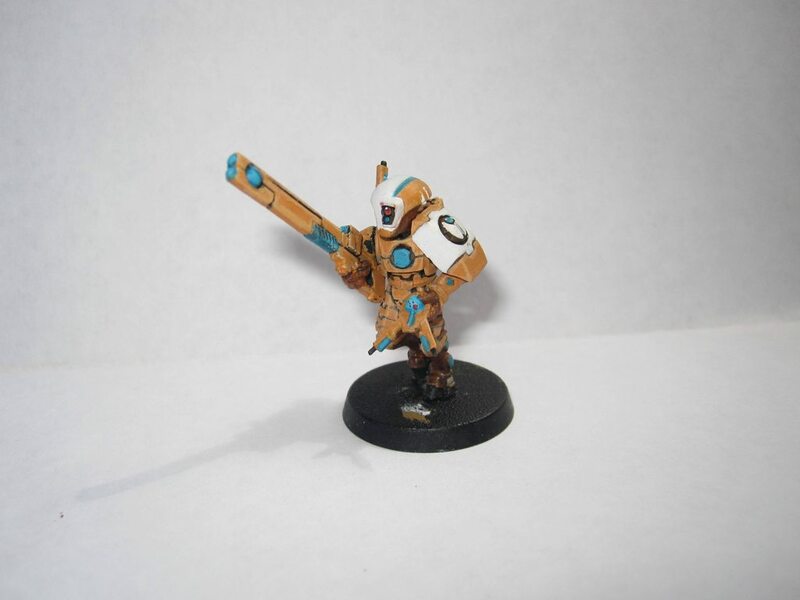 So Here you guys go, a Tau Firewarrior Shas'ui team leader with drone controller. 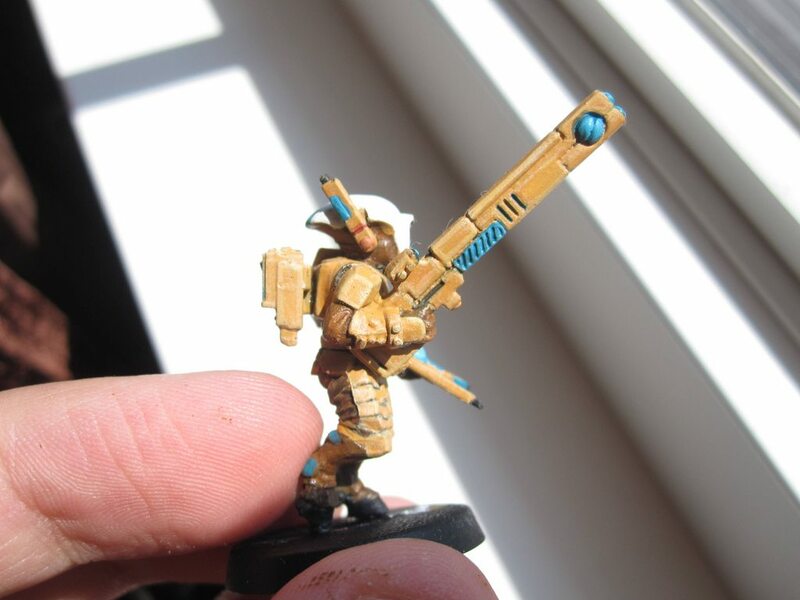 This is my first mini i've actually completed beyond practicing certain skills like paint thinning. I will need to go back and do a little touching up but I'm excited to post this before work. I wish i had the time and money to collect warhammer again, it's been far too long. I should really post some pics of mine. 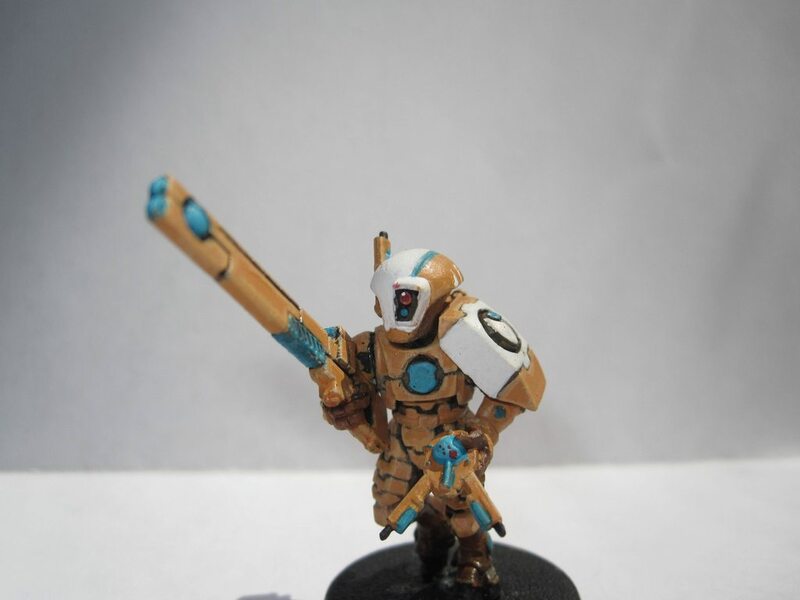 After reading your blog I've painted a squad of fire warriors, and almost finished a sky ray. Nice! I don't play the tabletop games, but I played the RTS's a lot, looks cool! Maybe not as important with Tau as with my Nids, but I've discovered it's more efficient to do in box size batches. Assemble a box, prime a box, then run through each color of paint in order. 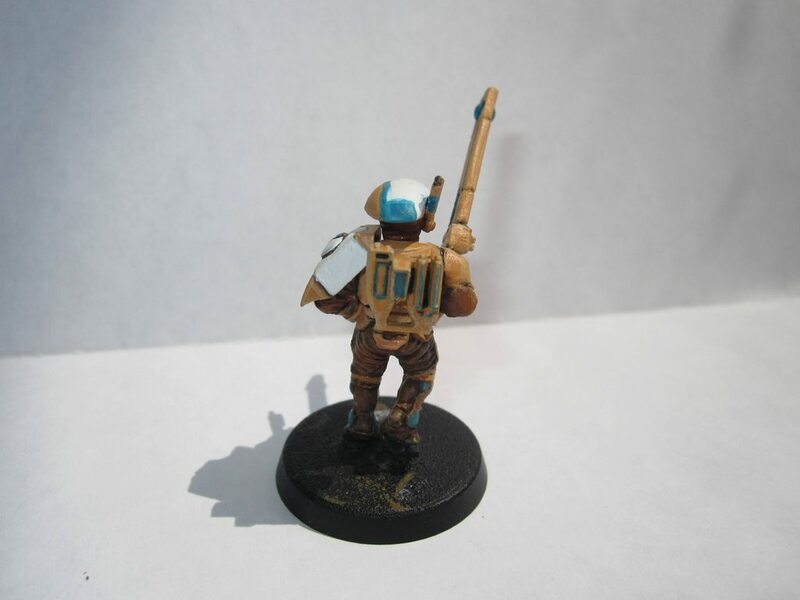 I used to do that, but i would paint my squad leaders on their own with a bit more detail to make them stand out. Oh, yeah. I did anything bigger than elites individually. Like I said, Nids are different, you almost have to assembly line elite and below unless you have unlimited leisure time. Try individually painting even a smallish list like stealers, back when that was viable (better known as broken), and you'd go batshit. I ran a mostly stealer list for a while, with a Fex, HT, Lictors, and that one big badass unique stealer dude, with some cannon fodder and rippers. 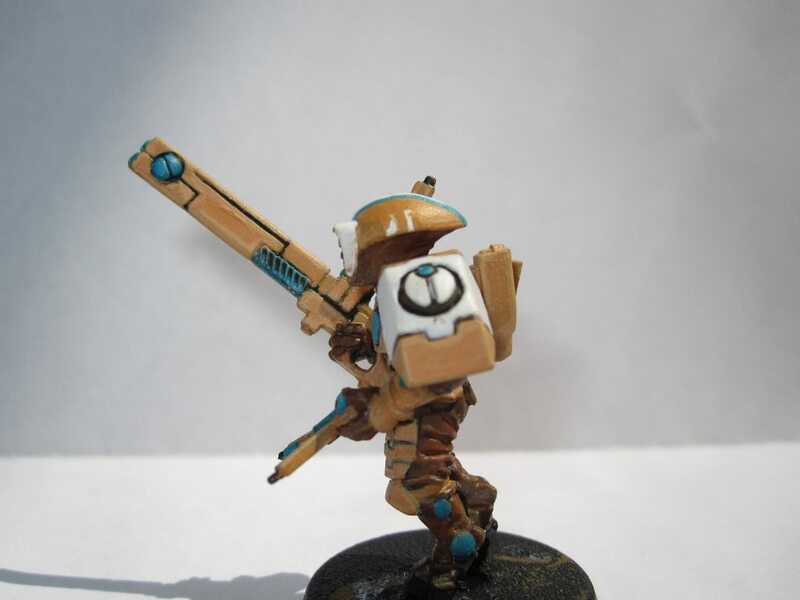 It was ridiculous what I did to my buddie's Tau. Lictors and Stealers would ruin their day with rending. I never got into fantasy. Stuck with 40k. Haven't played in a while, although if I found a decent place near here, and a good chunk of cash fell into my lap to improve my list, I probably would. Looking good, used to have a decent 40k Blood Angel army, but then it got really expensive so I stopped collecting.